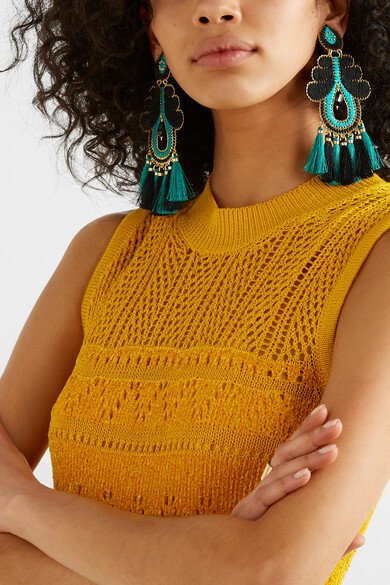 Mercedes Salazar's inspiration for a collection always begins with the craft and nature of her native Colombia. 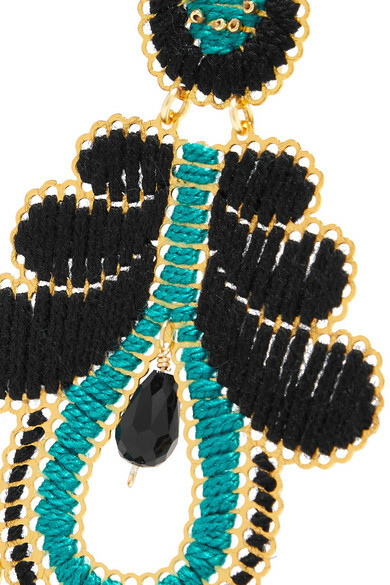 These clip-on 'Curubas Mágicas' earrings are made from gold-plated metal and woven with teal and black threads to highlight their unique shape. 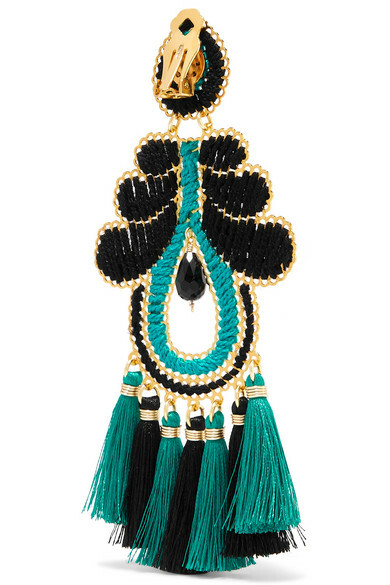 They're surprisingly lightweight and strung with tonal beads and tassels that dance freely as you move. Shown here with: McQ Alexander McQueen Dress.